The Noby-448 range has many features that allow for an easier, yet more professional installation. 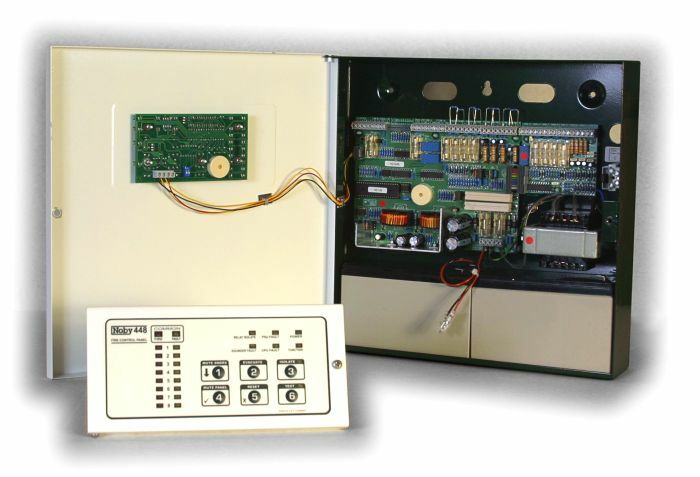 The main control unit comes in an attractive metal cabinet with ample entries and connection space together with room for two 12 Volt DC 7 Ampere-hour sealed lead-acid batteries. 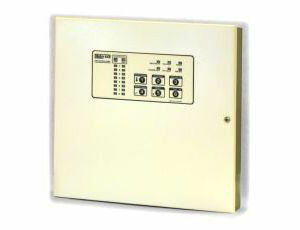 Wiring is simplified by the provision of a sounder circuit for every zone. 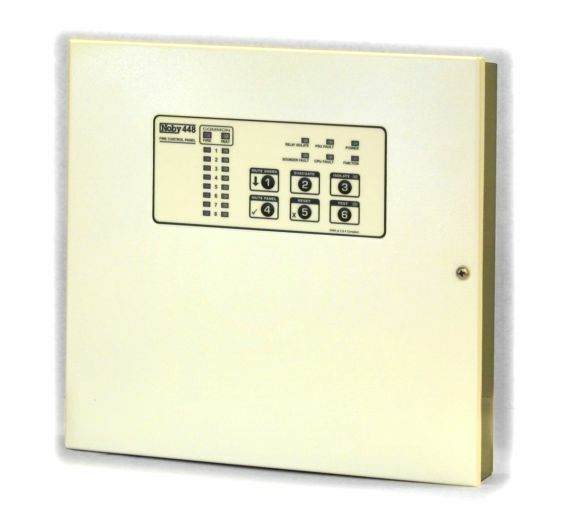 While features such as built in head removal monitoring, optional non latch zones, class change input, zonal fire outputs and 12V and 24V auxiliary supplies make the system ideal for most installations. Engineers have access to an 8 event fire memory which provides information on the most recent fire events. Engineers are further assisted by individual sounder circuit fault identification and sounder circuit isolation. In addition the remote keypad feature enables control and indication where it is needed in the neatest possible way. For full product information and manuals (pdf format) on the Noby-448 range, please go to our downloads section.